Queen Victoria didn’t like babies much, but her seventh child, Prince Arthur, seems to have been the exception to that rule. Born at Buckingham Palace on 1 May 1850 (the same day as the Duke of Wellington, who was chosen as his godfather), the little prince had an easy-going and obedient nature that appealed to the Queen right from the start. The adoring mother gushed that he was “dearer than any of the others put together”, probably because, unlike his siblings, he “has never given us a day’s sorrow or trouble”. Arthur received a private education at home, dreaming of embarking on a career in the army. In 1866, aged 16, he entered the Royal Military Academy at Woolwich, were he distinguished himself well and, later, he joined the famous Rifle Brigade. His Commander-in-Chief? 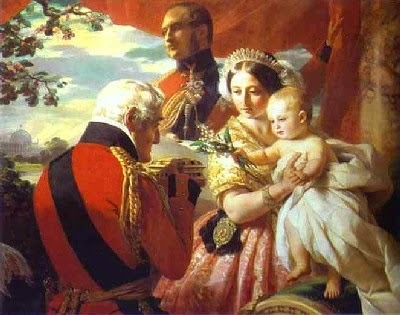 First his godfather, the Duke of Wellington, and then his father, Prince Albert. During his career he served in Ireland, South Africa, Egypt, India, and Canada, where the Iroquois made him a Chief of the Six Nations. 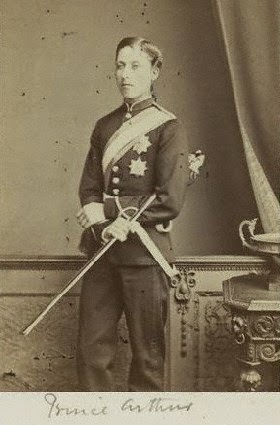 In 1874, Victoria made her favourite son Duke of Connaught and Strathern. Five years later, he married Princess Louise of Prussia. The couple was very happy together. 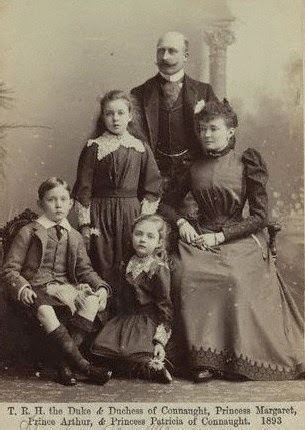 They had three children: Margaret (later Crown Princess of Sweden), Arthur, and Patricia. Sadly, his wife passed away in 1917. He then became close to Leonie Leslie, Winston Churchill’s aunt. Arthur continued his career in the Army, reaching only the grade of Field Marshal, rather than Commander-in-Chief as his mother had hoped. In 1911, he became the only member of the royal family to serve as Viceroy of Canada. He greatly contributed to the war effort, visited the wounded in the hospitals, and served as auxiliary war services and charities. Although he was loved there, he came home after the war, having received a mixed review by the Prime Minister Robert Borden, who thought he had overstepped his constitutional role. Back in England, he took up ceremonial duties as a minor member of the royal family. He died at his home, Bagshot Park, on 16 January 1942, aged 91.